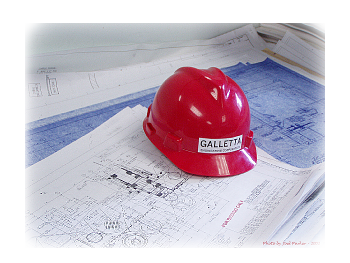 Galletta Engineering has been a growing leader in the engineering community. Galletta continues to take on new challenges throughout the continental United States and around the world always striving to bring our customers the best quality of service possible. Our team of engineers is always working to improve our processes and our end results reflect that. We bring on the best to deliver the best for our customers. The Galletta Engineering management team has created a lean, effective and responsive organization, the development of which evolved from many years of experience satisfying the needs of a wide range of clients. Client communication is an integral part of the service delivery plan. Galletta Engineering is structured towards customer satisfaction. Maintenance of a high level of relevant communication is impressed on all members of the Galletta Engineering team. By maintaining regular communication with clients to reaffirm project scope and apprising the client’s representatives of progress relative to budgets and schedules the potential for meeting or exceeding project expectations is measurably increased. Safety issues are always considered first in a project and our goal is always to identify and eliminate risk of injury to the client’s employees, his customers, contractors and/or Galletta engineering staff. To this end, our management and design staff attends to safety training on a regular basis. Constructability issues are addressed in the early phases of a project and are continually evaluated. Where such issues exist, recognition and evaluation of options to minimize contractors' difficulties implementing plans is critical to schedule and cost. Our engineers work within limitations imposed by codes, site restrictions and other constraints. Providing the highest level of quality is an ongoing process at Galletta Engineering. Designs and deliverables are reviewed by responsible supervising managers or qualified peers for compliance with applicable standards for the specific deliverables. We provide a wide range of engineering services with a common thread. The services we provide will deliver solutions to our clients reflecting their criteria in a product produced to the highest standards expected from our industry.